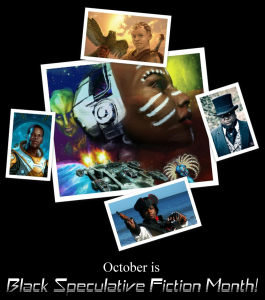 Let’s go back in the Way Back Machine to the moment Balogun Ojetade and Milton Davis introduced us to Black Speculative Fiction Month! Happy anniversary! 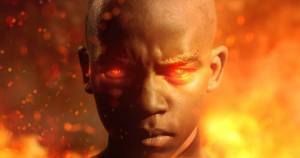 In early June of 2013, author Milton Davis and I had a discussion – as we often do – about the importance of Black people reading, writing and watching Science Fiction and Fantasy and the Black authors, artists and filmmakers currently creating in these genres. The conversation shifted to the various fan conventions we attend and the fact that the fastest growing demographic at these conventions is Black people. We became optimistic about this year’s Alien Encounters celebration and the audience that it is sure to draw. We also talked about how Alien Encounters is going national, with celebrations in the DC / Maryland / Virginia area, Philadelphia and even as far as California.